Many Haitians have demonstrated against the Trump administration’s cut-off of TPS. 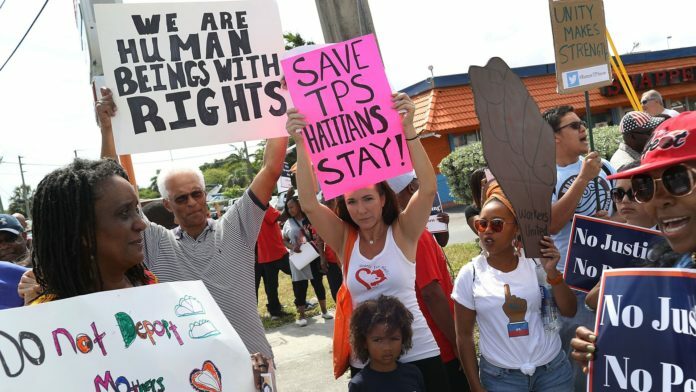 Now a Federal judge has effectively delayed the departure of Haitians holding TPS for at least six months. 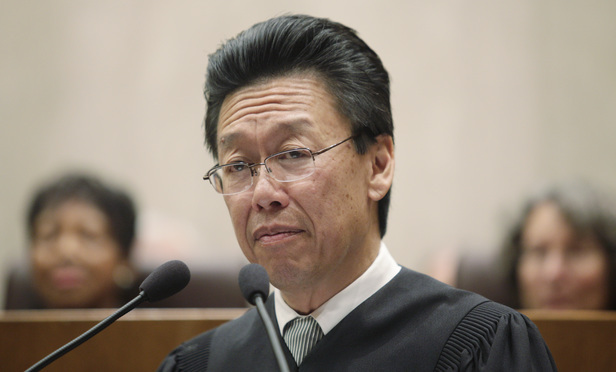 U.S. District Judge Edward Chen has again ruled in favor of the nine plaintiffs in a Federal lawsuit charging that the Trump administration’s termination of Temporary Protected Status (TPS) is racist, illegal, and inhumane. 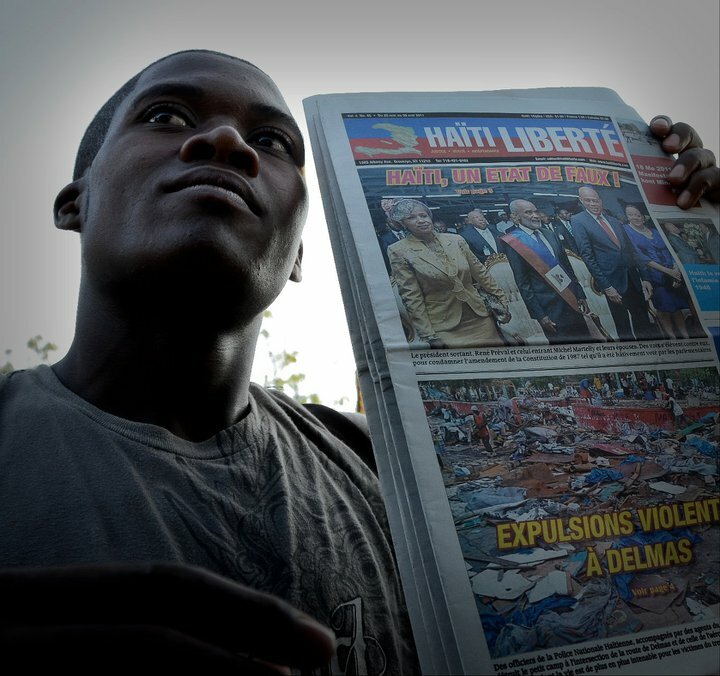 The decision all but guarantees that some 50,000 Haitians living and working in the U.S. under TPS will not have to leave the country by Jul. 22, 2019 (as the TPS termination order dictates), but can stay at least until January, or possibly September, 2020. The extension also applies to some 198,000 other TPS holders from El Salvador, Nicaragua, and Sudan. 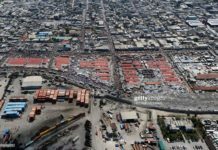 In a press release, the Institute for Justice and Democracy in Haiti (IJDH) explained that “Haitians with TPS who didn’t re-register for it in 2017 or 2018 out of fear, confusion, or another good reason can and should seek to re-register now” because the U.S. government “has agreed to give such applications ‘presumptive weight’ as being filed late for good cause – meaning they should be granted and then entitled to the TPS extensions” until 2020. 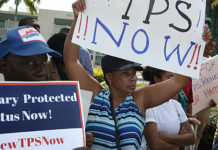 The decision all but guarantees that some 50,000 Haitians living and working in the U.S. under TPS will not have to leave the country until January, or possibly September, 2020. The U.S. government has appealed Judge Chen’s order to the Ninth Circuit Court of Appeals, but it has agreed, while the court’s order is in effect, to certain important measures including automatic nine month extensions, starting in April 2019, unless the Appeals Court rules in their favor. But it is almost certain that no Appeals Court ruling will be made before April 2019. Furthermore, the IJDH explains, “TPS work and legal status will be automatic for those registered” and there will be “no need to pay for employment authorization cards or further registration.” TPS holders “can rely on their existing (to-be-expired) EAD [Employment Authorization Document] or TPS approval notice, as well as the Federal Register Notice, as valid authorization to work or as proof of legal status in the United States. 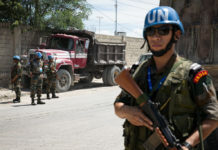 “They do not need to pay any further money to the U.S. government and should not need to pay for additional legal assistance either,” the IJDH adds. Even if Chen’s decision is overruled by the Appeals Court, the U.S. government has agreed to at least six months of additional protection. “In the event the preliminary injunction is reversed and that reversal becomes final, DHS will allow for an orderly transition period,” the government states. In other words, the IJDH explains, “the earliest that TPS holders from [Haiti, El Salvador, Nicaragua, and Sudan] could lose their legal status is about six months after the appeals court’s decision,” which likely will not come until the middle of 2019. And whatever the Appeals Court’s ruling, it will surely be appealed to the U.S. Supreme Court. 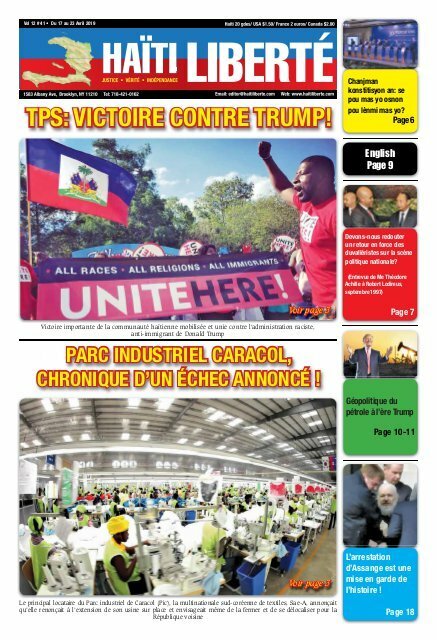 The case has been brought in the Northern District of California, and the plaintiffs are from Haiti, El Salvador, and Sudan, representing diverse organizations fighting to defend TPS, including the National TPS Alliance, CARECEN-Los Angeles, the International Union of Painters and Allied Trades (IUPAT), UNITE-HERE, and African Communities Together. They are represented by the ACLU of Southern California, the National Day Laborer Organizing Network, and Sidley Austin LLP.